Herbs For Weight Loss! "Umm, really?" 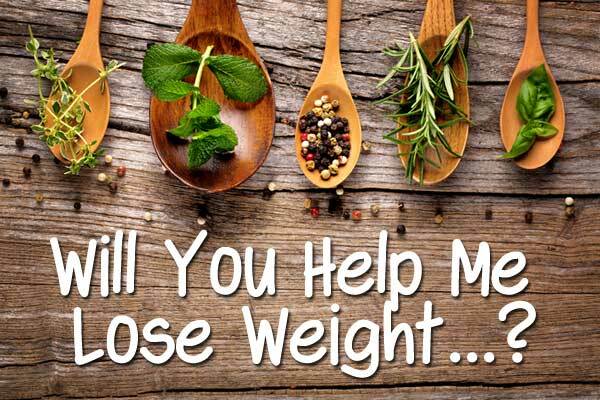 Can Herbs/Spices Really Help With Weight Management? You will often find yourself breaking a laconic routine of eating “healthy” or violating laws of visiting gym every day. This does nothing but adds on more strain to your already stressful life. It’s quite understandable if you are not able to give a constant follow up to a patterned schedule for losing weight while your juggle with relationships, work and life is general is riding side by side. Whatever your particular obstacle, herbal formulas will help you overcome them. In a 2005 study published in the American Journal of Clinical Nutrition, a group of men consuming 690 milligrams of green tea extract per day were found to lose more weight within three months than those who took part in a control group session. Green tea is filled with anti – oxidants and nutrients that have a powerful effect on the body. They are classified amongst the best beverages on the planet. Green tea has been shown to boost the metabolic rate and increase fat burning in the short term. Other than that, it also creates the feeling of fullness thereby making for an effective appetite suppressant. Cinnamon is said to help and stabilize the blood sugar level of the food. Including cinnamon in your recipe not only adds a sweet flavour to the food, which can help discourage cravings but also helps move fat from the liver so that the body can use it as a form of energy. Don’t expect cinnamon to cause your body to release like pounds and pounds of fat or increase metabolism. But it will definitely help normalize the burning and digestion of fat. Cinnamon is a common food – allergy, therefore, you must make sure that you are not consuming cinnamon on a regular basis if you happen to be in a poor health condition. Black Pepper is found to burn as many calories as taking a 20 minutes walk. It not only serves itself as a source of pungent flavour but also blocks the formation of new fat cells. They have the ability to enhance the function of the digestive tract. Moreover, black peppers also have benefits against bacterial growth especially in the intestinal area. Black peppers are one of the oldest and most commonly used herbs. Mushrooms have always been used in Chinese medicines to build strength, immunity and fight fatigue. Recent studies, however, show that they might also work as weight loss supplements. They are low in fat and sodium, and they contain a super-powerful flavour enhancer called glutamic acid. Even though, cooked mushrooms are incomplete protein source, they still contribute towards unexpected benefits. In fact, when possible, stick to cooked mushrooms because they are higher in nutrients than raw mushrooms. Mushrooms provide a surprising assemblage of nourishments which make them particularly appropriate for both, vegetarians and non vegetarians. Other herbs such as Garcinia (berry found in most of the modern weight loss supplements), guggul (an ayurvedic remedy) and ginseng also help in losing serious weight. They may not redefine your body overnight, but they will definitely fulfill the world around you by changing your mind while also providing major comprehensive benefits. The ready – made gym awaits you! First off, if you want to lose weight, you should start being active, include daily exercise in your life and improve your daily diet. There are no shortcuts to losing weight, including or excluding any and all herbs or spices. If you want expert guidance and support, you can always join a gym or go admit yourself into various weight loss programs in professional clinics. They will help you lose weight in a controlled manner so that you lose weight but also become healthy. However, if you wish to take your health into your hands, you can use the help of the above 4 plus the following herbs to aid you in your journey to meet your thinner self. These days, herbs are easily available in the market and at reasonable prices. Herbs not only have various health benefits like improving metabolism, controlling cholesterol level and aiding weight loss, but also help improve the taste of your food. However, it is always advisable to consult a dietician to help you judge the herbs better. So let us see some popular herbs names for their ability to help in weight loss. This herb has caffeine which boosts metabolism, reduces appetite and also helps generate heat in your body which burns more calories. There is a widely known research currently in progress. Weight loss with Dandelion and Milk Thistle. Milk thistle is popular and is known to help cleanse the liver. We all know that the liver is the main organ you should be focussing whenever you start your fat loss journey. This “liver cleansing” helps in forcing the body to not store excess fats. You can buy Dandelion in tea form or in their plant form and include them in various recipes. Peppermint is one herb which helps you digest better, hence reducing bloating and keep fat storage at bay. Drinking peppermint tea helps in keeping your stomach happy all day long. If you want to manipulate your hormones, then Spearmint is one herb you must consume. Spearmint reduces estrogen content in the body and raises fat burning testosterone. Sage is a better tasting herb which helps you calm down. It reduces the blood pressure levels and helps you reduce stress and hence helping you lose weight. Oregano is quite popular as it goes perfectly with any pizza! However, it has lots of antioxidants, reduces constipation and its smell has been proven to lift moods. When talking about weight loss, one cannot miss Cinnamon. It helps improving metabolism and also stabilizes blood sugar levels. Cardamom has similar benefits as Cinnamon. Ginger tea tastes so pleasant on a cold winter day. Ginger cleans the body and removes waste food in the intestines. Guarana is one herb which stimulates the brain and makes us feel happy, making us binge less. Flax seeds help you feel full and hence stop you from over eating. Garcinia is an ingredient in many diet pills as it suppresses appetite and prevents storing of fat. Mustard and Black Pepper are two more herbs that help boost metabolism and hence burn fat at a faster rate. Cayenne Pepper helps in burning fat and suppressing hunger with the help of a compound call Capsaicin which is present in Cayenne Peppers. Coconut oil has no harmful fats and does not stick to your body, thus making you feel full, while helping your body handle waste better. Lastly there is Psyllium, which makes you feel full and slows down the absorption of carbohydrates. You can also buy tablets which have multiple herbs in them. This would require good comparison based on price and the mixture of herbs. Also you must consult your dietician, who can prescribe certain herbs specifically for you. After you have decided to include above mentioned herbs in your diet, you must mind that these can act as catalysts for weight loss, but they cannot be your only way to lose weight. Herbs are nice little plants; smell them, use them to add flavor to your food, eat them and lose weight! Is Calorie Counting Better Than Dieting?